Attracted by the beauty of iron forms that were smithed throughout the cobblestone walls of Paris, Yuki Okamoto’s passion for iron decoration was uncharted-ably altered the moment she witnessed their grandeur. Okamoto’s love for iron became a calling when she fell in love at first sight with an iron chandelier inside a Hiroshima cafe. From that moment she cast herself into an unknown. Out of the corporate life she had lead to the world of blacksmithing. In 1994 she trained for 10 years independently as a blacksmith under her mentor Koji Mitsumori. Currently, Okamoto now runs her own studio in Hiroshima. Her work ranges from large to small scale interior objects, lighting, installations for indoor and outdoor projects. A vast amount of Okamoto’s clients ask for custom hand forged, and smithed metal work. Her work is meant to not merely captivate the visual senses, but to alter how people understand the transformative quality of metal form. She focuses on showcasing the sophisticated beauty of iron working, that is predominantly hard and inorganic. 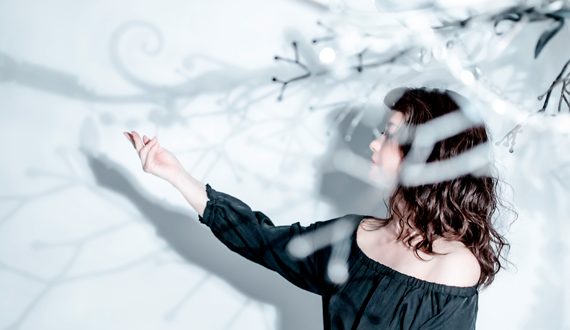 Okamoto shapes her forms to cast a light which shows their “supple and delicate nature from within the metal”. Through her understanding of light she creates “shadow beauty” that is carefully moulded iron into its more liberated form from its old heavy remnants giving it a feeling of featherlike translucency. She works tirelessly to achieve metal forms which are emotionally sensitive yet fresh. All the while allowing her iron craft to have a transparency and earthiness in the final form. Yuki Okamoto is curiously driven by challenging the limitations of the metal and liberating it from traditional iron work.